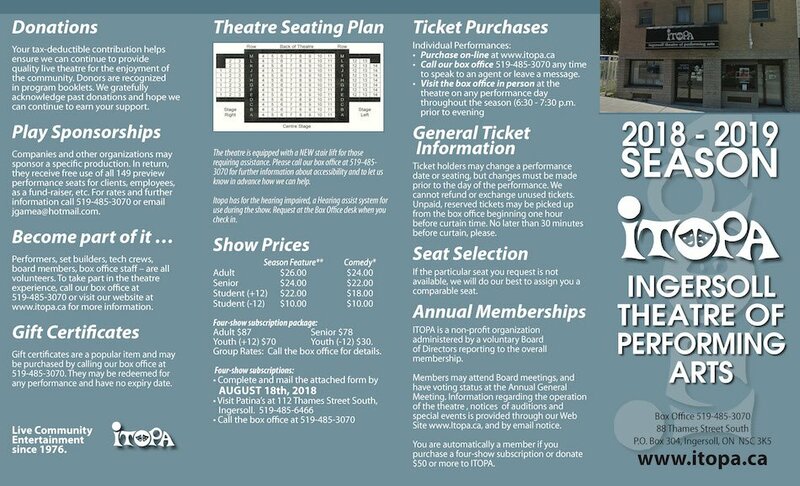 The Ingersoll Theatre of Performing Arts is a non-profit organization controlled by its members, who have full voting privileges and, therefore, determine its policies and direction. ITOPA members come from many different backgrounds: actors, directors, backstage crew, and cultural supporters. Some of those involved pursue theatre as a profession and some as a hobby. The Ingersoll Theatre of Performing Arts is now proud to offer a Hearing Assist System to our Patrons. ITOPA has 149 seats in 13 rows. Each wing accommodates 22 people, and the main floor 104. The seats are comfortable cinema-style seats. 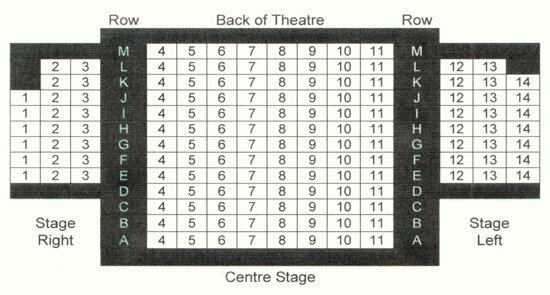 A chair lift is available for mobility access to theatre level, Please advise if required at the time of ordering tickets by phone. Our in-house certified sound and light technician takes care of all your sound and lighting needs. We provide full box office services including ticket sales, poster design and marketing at an additional small cost.